A code of honor instills in students the importance of honesty and strong character throughout all aspects of life. A rich tradition of athletics teaches students important lessons of teamwork, sport and the outdoors. 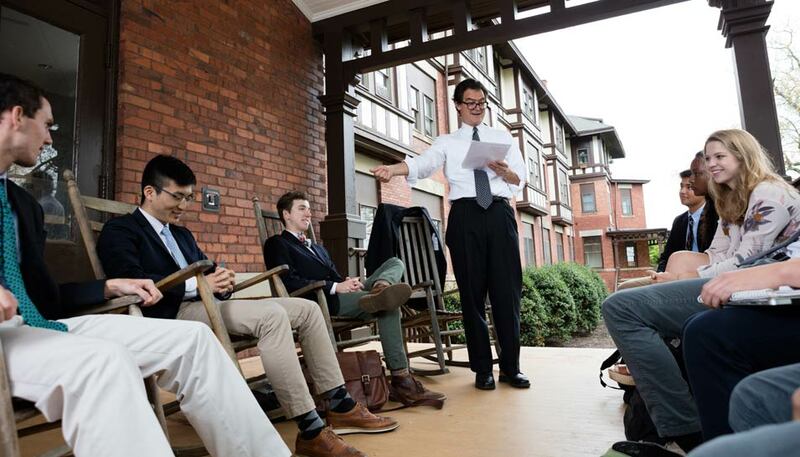 The boarding school experience builds respect for and responsibility to others and one's self. Students learn these lessons in a nurturing, close-knit community located in 300 pastoral acres in the Blue Ridge Mountains of Western North Carolina. "To prepare our students for college and for life and to provide an atmosphere in which all members of a diverse, engaged, and purposefully small school community appreciate and strive for excellence - an atmosphere that nurtures character and fosters the development of mind, body, and spirit." 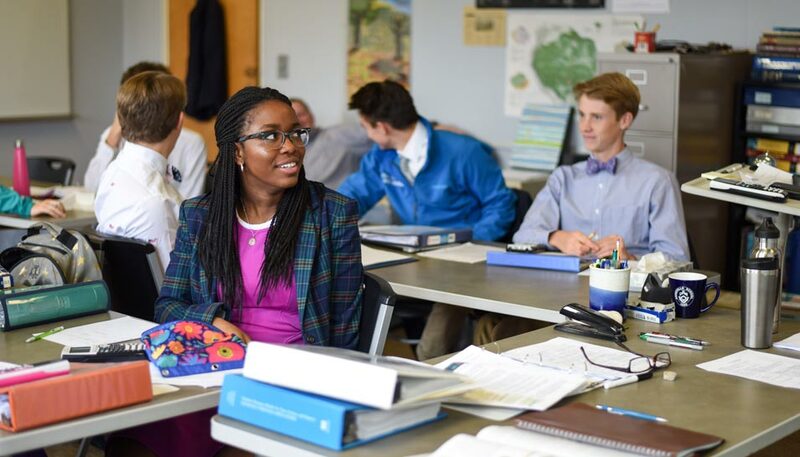 Academics: The academic work and intellectual pursuit of each individual student is essential to the Asheville School experience. Teachers and students thrive in small seminar-style classes, which feature the Harkness Method, and frequent one-on-one tutorial sessions. We offer 55 courses and more than 20 Advanced and Advanced Placement (AP) courses. The academic capstone of the senior year is the Senior Demonstration on topics in varying disciplines. Size: With an annual enrollment of approximately 285 students in grades 9-12, the school is an intentionally small community where students and faculty genuinely know one another. Our student body represents roughly 21 different states and 14 foreign countries. Students come from a variety of ethnic and cultural backgrounds, and they share a common appreciation for the value of good character, hard work and scholarship. Faculty: Most of the school’s 64 faculty members, 43 of whom teach, live on campus. About 80 percent of our faculty and their families live in dorm apartments and houses on our campus. 75% of our teaching faculty hold advanced degrees. The student/faculty ratio is 4:1 and the average Asheville School class size is 13. Honor and respect: Values matter here, from the Honor Code and student-run honor system to our unwritten code of respect. our students to rock climb, kayak, or mountain bike. The equestrian program offers lessons for beginning riders through advanced levels. In addition, students may spend their afternoons learning about App Development (Swift), Robotics, 3D Animation, Photoshop/Adobe Creative Cloud Suite, 3D Printing and Music Software (Logic/Reason). Integrated Humanities Curriculum: Our nationally acclaimed humanities program integrates the study of literature, history, religion, art, music, architecture, film and dance into a four-year sequence: Ancient Studies, World Studies, European Studies and American Studies. These writing-intensive courses provide English and history teachers a chance to team-teach, and students learn to discover more connections and realize how these areas of study relate to one another. The humanities program has sponsored speakers and classroom visitors such as bestselling author Amity Shales, Pulitzer prizewinner Margaret Edson, comedian Hari Kondabolu, and CNN commentators Sally Kohn and Tara Setmayer. Mountaineering: Students learn to challenge themselves and try new things in a program that teaches students to appreciate the great outdoors for a lifetime. Because our campus is located in the heart of the Blue Ridge Mountains, students have ample opportunities to learn to rock climb or kayak or develop all the skills needed to backpack in the mountains of Western North Carolina. 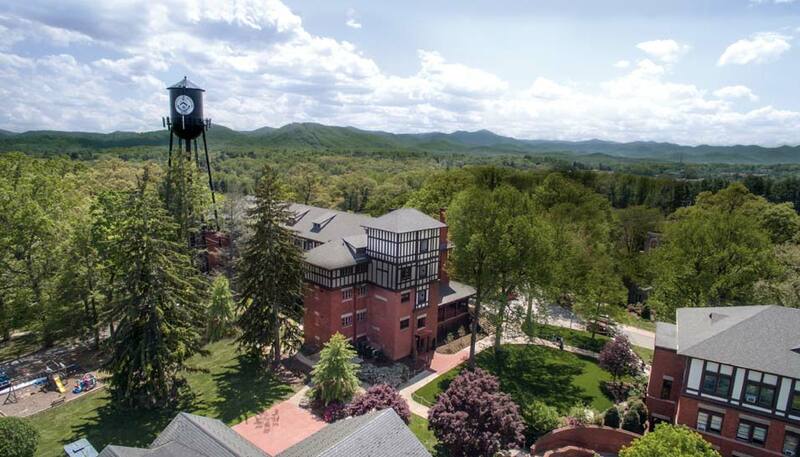 Campus: Our stunning 300-acre campus is in the heart of the Blue Ridge Mountains, five minutes from the vibrant downtown Asheville. Our facilities combine historic buildings with 21st century technology. Asheville School is for self-motivated, curious students who have been successful in school up to now. They like other people, want to get involved, are trustworthy and want to attend Asheville School. If you share those traits and think you'd like to make your own mark here, come to campus and find out more. If you head home after your visit and, as many before, say that Asheville just feels right, then it probably is. We think you're going to love it. Asheville School has long attracted students from all over the globe and welcomes students from all international countries to apply. We are thrilled about the opportunity to meet you and further introduce you to our campus, the academic and extracurricular opportunities, and most importantly, the community of Asheville School. Read frequently asked questions about the international application requirements. Admission to Asheville School is highly competitive. Most prospective students have been high achievers in their previous schools, both in and out of the classroom. 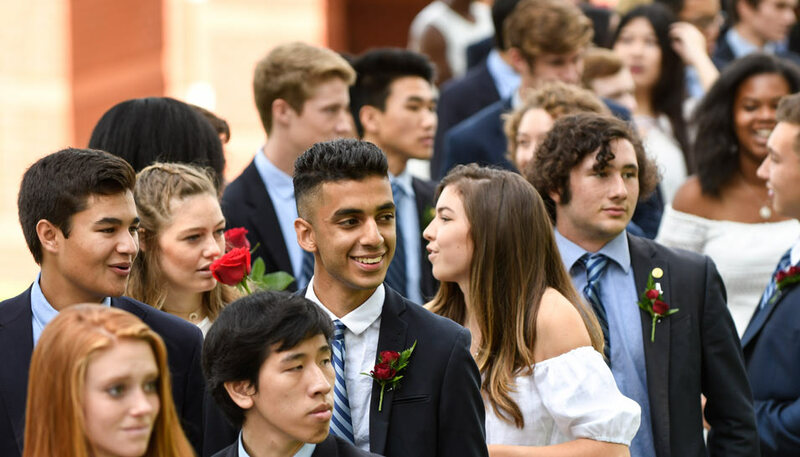 Equally important to a student’s demonstrated academic ability is the motivation to carry on Asheville School’s high standards and tradition of excellence. A student must be a good citizen and have the desire and drive to contribute to the success of the overall school community. Please call or email the Admission Office for more information by calling 828-254-6345 x4022 or emailing [email protected].